Puyallup, Washington is a city in Pierce County, Washington, about 10 miles (16 km) southeast of Tacoma and 35 miles (56 km) south of Seattle. Your cultural itinerary includes sights like Tahoma National Cemetery and Harbor History Museum. You'll explore the less-touristy side of things at My Cheese Shoppe and Chambers Bay. Explore Puyallup's surroundings by going to American Lake (in Lakewood), Auburn (Soos Creek Botanical Garden, Emerald Downs, & more) and Federal Way Community Center (in Federal Way). Next up on the itinerary: browse the fresh offerings at Puyallup Farmers Market, take a peaceful walk through McCormick Forest, let little ones run wild at Bradley Lake Park, and stroll through Sehmel Homestead Park. To see more things to do, maps, reviews, and more tourist information, refer to the Puyallup day trip app . Joplin to Puyallup is an approximately 9.5-hour flight. You can also drive. The time zone changes from Central Standard Time to Pacific Standard Time, which is usually a -2 hour difference. Traveling from Joplin in June, expect Puyallup to be a bit cooler, temps between 73°F and 50°F. Cap off your sightseeing on the 30th (Sun) early enough to travel to Olympia. Olympia is the capital of the U.S. Get in touch with nature at Tolmie State Park and Tumwater Falls Park. Explore hidden gems such as Farmers Market and The Home Course. The adventure continues: contemplate the long history of The Schmidt House, look for all kinds of wild species at Nisqually Reach Nature Center, admire the majestic nature at Millersylvania State Park, and explore the engaging exhibits at Hands On Children's Museum. To find traveler tips, photos, ratings, and other tourist information, read our Olympia trip itinerary planning website . Traveling by car from Puyallup to Olympia takes an hour. In June, daytime highs in Olympia are 74°F, while nighttime lows are 49°F. Finish your sightseeing early on the 7th (Sun) so you can drive to Seattle. Get a sense of the local culture at Chateau Ste. Michelle Vineyards and Christ Our Hope Catholic Church. 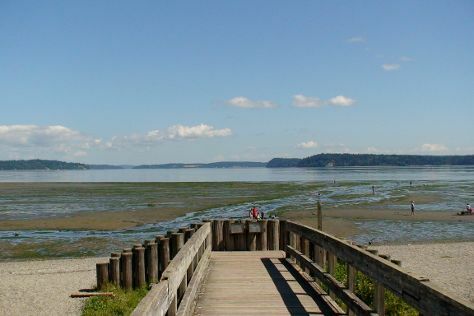 Escape the urban bustle at Seahurst Beach Park and Matthews Beach Park. Venture out of the city with trips to Alderwood Mall (in Lynnwood), Efeste (in Woodinville) and Edmonds (Picnic Point Park, Cascadia Art Museum, & more). 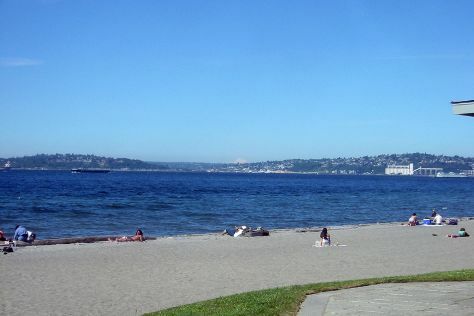 Next up on the itinerary: kick back and relax at Alki Beach, take a stroll through Ballard, take a leisurely stroll along Hiram M. Chittenden Locks, and buy something for everyone on your list at Pacific Place. For reviews, more things to do, traveler tips, and tourist information, read our Seattle road trip planning website . Traveling by car from Olympia to Seattle takes 1.5 hours. Alternatively, you can take a bus. Traveling from Olympia in July, Seattle is a bit warmer at night with lows of 60°F. Finish your sightseeing early on the 19th (Fri) so you can travel to North Bend. North Bend is a city in King County, Washington, United States. 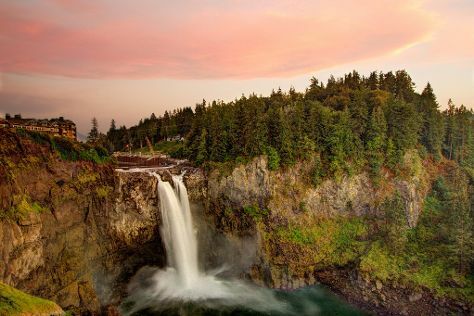 You'll explore the less-touristy side of things at Snoqualmie Falls and Mailbox Peak. Step out of the city life by going to Twin Falls and Denny Creek Trail. Explore the numerous day-trip ideas around North Bend: Lake Wilderness Arboretum (in Maple Valley) and Wallace Falls State Park (in Gold Bar). The adventure continues: witness a stunning natural landmark at Goldmyer Hot Springs, hike along Rattlesnake Mountain Trail, admire all the interesting features of Cedar River Watershed Education Center, and identify plant and animal life at Rattlesnake Lake Recreation Area. For reviews, other places to visit, maps, and tourist information, use the North Bend driving holiday app . You can drive from Seattle to North Bend in an hour. July in North Bend sees daily highs of 79°F and lows of 59°F at night. Wrap up your sightseeing by early afternoon on the 26th (Fri) to allow time for travel back home.